Great Lake Clinical Trials is seeking female volunteers for a consumer research study of an investigational Intense Pulsed Light device for the removal of unwanted hair under the arms, near the bikini line, and on the lower leg. Great Lakes Clinical Trials is proud to announce a collaboration with the McGaw YMCA in Evanston, IL to study the effect of exercise on slowing down and/or preventing future memory loss. The EXERT study is a national, 18-month long, clinical trial to test whether physical exercise can slow the progression of mild memory loss and/or mild cognitive impairment in older adults between the ages of 65-89. It is a Phase III randomized, controlled trial examining the effects of exercise on cognitive function and on biological markers in older adults with mild memory loss. The EXERT study will test whether aerobic training, or stretching/balance/range of motion exercise, can improve memory and thinking skills and other measures of brain health in people with mild memory loss or lapses. The Generation Program is made up of two clinical trials: Generation Study 1 and Generation Study 2. The trials will enroll people with a specific gene that may increase the risk of developing Alzheimer’s disease. It is your genes, along with other information about you, which will determine whether you are eligible to take part in either of these studies. The APOE e4 Gene – People who have one or two copies of the gene APOE e4 are more likely to develop dementia due to Alzheimer’s disease. It is important to note that not every person who has the APOE e4 gene will develop dementia caused by Alzheimer’s disease. ·Elevated Amyloid Plaques – Amyloid is a protein produced normally in the brain. Recent research studies suggest that people over the age of 65 who have evidence of higher than normal levels of amyloid plaques in their brains are at higher risk for dementia due to Alzheimer’s disease. However, not every person who has higher than normal levels of amyloid plaques will develop dementia due to Alzheimer’s disease. How do doctors determine whether someone has high levels of brain amyloid? In one of two ways. 1) A PET scan test for brain amyloid (also referred to “brain amyloid scan” or “amyloid PET scan”) allows physicians to detect amyloid plaques in the brain. 2) Amyloid can also be measured through collection of cerebro-spinal fluid from a lumbar puncture. Participants in Generation Study 2 will learn whether the level of amyloid in their brain is either “elevated” or “not elevated.” Please note that amyloid tests do not measure whether you have dementia due to Alzheimer’s disease nor can they predict whether you will develop dementia due to Alzheimer’s disease in the future. How is an amyloid PET scan performed? The test takes about two hours to complete. First, the person is given an injection of a dye (called a “radiotracer”). About an hour later, the person undergoes a 20-minute scan exam. How is a lumbar puncture performed? What does an “elevated” level of brain amyloid mean? An “elevated” amyloid result means that you have enough amyloid plaques in your brain to meet the criteria that make you eligible to participate in the study. While an “elevated” amyloid result is associated with an increased risk of developing dementia due to Alzheimer’s disease, it does not mean definitively that you will develop dementia due to Alzheimer’s disease. Studies suggest that the increased risk of developing dementia due to Alzheimer’s disease associated with an “elevated” amyloid level is spread out over years or even decades. Scientists do not yet know which people with normal memory and thinking ability as well as elevated brain amyloid will develop dementia due to Alzheimer’s disease. Some people with elevated levels of amyloid plaques in their brain may never develop dementia in their lifetimes. Is an “elevated” level of amyloid similar to other risk factors? Having an “elevated” level of amyloid plaques may increase the risk of developing memory problems and dementia due to Alzheimer’s disease but it does not mean a person will definitely develop dementia due to Alzheimer’s disease. Studies suggest the relationship between elevated amyloid plaques and Alzheimer’s disease dementia may be similar to the relationship between cholesterol and heart disease. Having high cholesterol increases the risk of having heart disease, but having high cholesterol does not mean that person will definitely have a heart attack. Years of research involving thousands of people enabled us to calculate a person’s risk of heart disease. There are not yet enough amyloid test research results available to calculate an individual’s risk of developing Alzheimer’s disease-related memory decline. There are some factors that may protect a person from developing memory or thinking problems, even if they do have elevated levels of amyloid plaques. For example, some protection may come from a person’s genes, but good general health and a healthy lifestyle may also lower the risk of Alzheimer’s disease-related memory decline. What does a “not elevated” level of brain amyloid mean? A “not elevated” amyloid result means you do not have enough amyloid plaques in your brain to be eligible to participate in the Generation Study 2. Having elevated brain amyloid is not an eligibility requirement for Generation Study 1. A “not elevated” amyloid result does not mean that you will never develop dementia due to Alzheimer’s disease. A person who has a “not elevated” amyloid level at the time of testing could in the future develop an “elevated” level of amyloid or dementia due to Alzheimer’s disease. Are there other risk factors in addition to the APOE e4 gene and amyloid plaques that can lead to dementia caused by Alzheimer’s disease? Yes. The greatest risk factor for developing dementia caused by Alzheimer’s disease is advancing age, especially for those who are over 70 years old. However, dementia caused by Alzheimer’s disease is not a normal part of aging. Another risk factor is having a family history of dementia or Alzheimer’s disease. Some studies also indicate that cardiovascular disease and conditions such as diabetes and high blood pressure are associated with a higher risk of developing dementia due to Alzheimer’s disease as well as other types of dementias. If you have any questions regarding these risk factors, please consult with your study team. or visit our study-specific webpage by clicking here. Great Lakes Clinical Trials Debuts New TV Ad for Memory Loss: Click to View! Great Lakes Clinical Trials is recruiting adult volunteers, between the ages of 60-85 for a study to assess the effect of an investigational medication on slowing down memory loss. You can view a copy of the TV ad design for the study below. This research program is running at both our Chicago/Andersonville and our Arlington Heights locations. For more information click the button below. Are you worried that memory loss is more than just ordinary forgetfulness? If so, you might be interested in the TRAILBLAZER-ALZ Study. The TRAILBLAZER-ALZ Study will examine an investigational drug may help to slow or stop memory loss. There is no cost to participate. Participants will receive all study-related care from a research doctor at no cost and may be compensated per study site visit for time and travel expenses. • have a family member or close friend who is with you at least 10 hours per week and can attend study appointments with you. No cost transportation will be provided for this study by Lyft. If you are interested in joining this trial, visit http://www.greatlakesclinicaltrials.com/aacg. Otherwise, you can call our center directly at (773) 275-3500 to speak with one of our staff today. Volunteer for a Paid Research Study! Great Lakes Clinical Trials is looking for healthy individuals to assess the effects of a Fiber-containing Sports Bar on glucose and insulin levels. Note that other entry criteria will apply and can be discussed with our study staff. If you qualify, you will receive up to $300 for completing the study. Call (773) 275-3500 or sign up by completing our survey by clicking here. 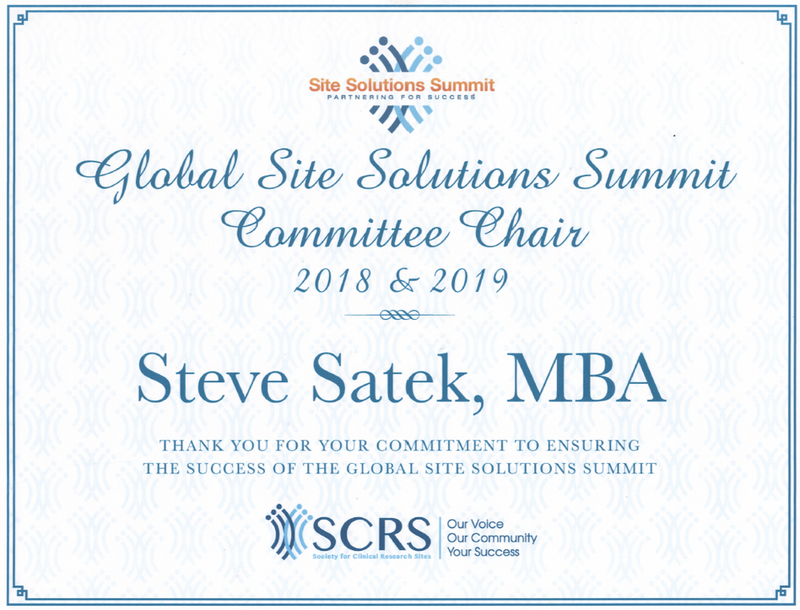 Steve Satek, Great Lakes Clinical Trials President, is honored to serve as the 2019 Committee Chair for the Global Site Solutions Summit. For the last 13 years, the Global Site Solutions Summit has been committed to being “the site’s meeting.” The Summit provides a unique hub where sites, sponsors, CRO executives and regulators come together and share best practices, build their businesses, and develop new partnerships through debates, ideation sessions, workshops and focus groups. SCRS is confident that by increasing site sustainability, all life science stakeholders will realize greater efficiency and profitability, and successfully meet our ultimate commitment to bring safe medical treatments to patients faster. The 2019 meeting will be held at the Diplomat Beach Resort in Hollywood, Florida from October 11-13. Registration for the meeting is current open. To learn more, view the Summit Introduction video below or visit www.sitesolutionssummit.com. Great Lakes Clinical Trials in in Chicago and Arlington Heights, IL is now enrolling volunteer participants in a pioneering international Alzheimer’s disease prevention research program. The Alzheimer’s Prevention Initiative (API) Generation Program is made up of two clinical trials—Generation Study 1 and Generation Study 2—and will test investigational study medications which aim to prevent the onset of Alzheimer’s disease in cognitively healthy people whose genetic makeup puts them at particularly high risk for developing the disease at older ages. The number of people in Illinois who are age 65 and older with Alzheimer’s disease is expected to increase 18% by 2025 to a projected 260,000, highlighting the urgency of finding a medical breakthrough. Great Lakes Clinical Trials is one of approximately 190 sites globally participating in the API Generation Program. The API Generation Program is the first to incorporate both genetic testing and counseling. Prospective participants referred to the trial will be required to learn if they carry a specific gene that puts them at increased risk to developing Alzheimer’s. Genetic counseling will be provided in person or by phone. Participants will be recruited via multiple venues, including the Alzheimer’s Prevention Registry’s GeneMatch program (www.endALZnow.org/GeneMatch), a first-of-its kind program designed to identify a large group of people interested in volunteering for Alzheimer’s research studies, based in part on their genetic information. To learn more about volunteering for the Generation Program at Great Lakes Clinical Trials, visit greatlakesclinicaltrials.com/generations, call (773) 275-3500, or go to www.GenerationProgram.com. The Generation Program is sponsored by Novartis, a Swiss pharmaceutical company, and Amgen, a biotechnology company based in Thousand Oaks, CA, in collaboration with Banner Alzheimer’s Institute in Phoenix, AZ. Alzheimer’s is a debilitating and incurable disease that is estimated to affect more than 46 million people worldwide according to Alzheimer’s Disease International. Great Lakes Clinical Trials specializes in the study of investigational medications, food products, devices and supplements for the treatment of chronic diseases, notably in Mental Health, Memory Disorders, Pain Management, Vaccines, Nutrition and Dermatology. All medical services at Great Lakes Clinical Trials are provided free-of-charge, and are led by board-certified physicians. We do not bill insurance. Your information will be kept confidential, unless you ask us to collaborate with your personal physician. We will provide you with a stipend for your participation - amounts vary based on each study. Free transportation is also provided for some of our trials. 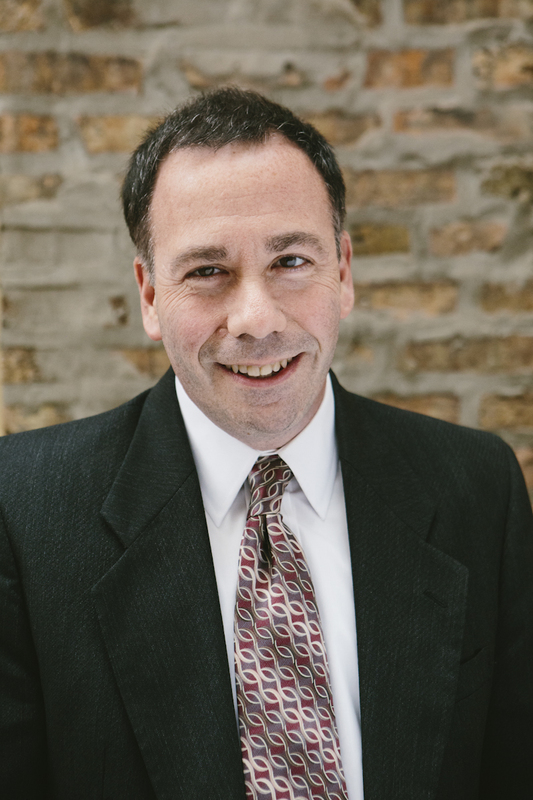 With two Chicago area locations in Andersonville and in Arlington Heights, the Great Lakes team have managed more than 450 clinical trials over the past 25 years and are committed to providing quality services for both study volunteers & the research industry. The Alzheimer’s Prevention Initiative (API) is an international collaborative formed to launch a new era of Alzheimer’s prevention research. Led by the Banner Alzheimer’s Institute, the API will conduct prevention trials in cognitively healthy people at increased genetic risk for Alzheimer’s disease. It will continue to establish the brain imaging and biological and cognitive measurements needed to rapidly test promising prevention therapies, and to provide registries to support enrollment in future prevention trials. API is intended to provide the scientific means, accelerated approval pathway, and enrollment resources needed to evaluate the range of promising Alzheimer’s prevention therapies and find ones that work without losing another generation. For more information, go to www.banneralz.org.